This entry is a two-birds-in-one-stone chance since I get to work with one of my favorite “modelesque” friends Kat and at the same time use the upcoming Canon 70D. Off the bat, I immediately noticed this button near the trigger (and top dial), and it was something absent from most of the cameras I’ve been using. It quickly changes the AF system modes. Wish they had this on the Mark 3 or 1DX… it was so convenient to use. It is in a lot of sense similar to its predecessor (the 60D) in terms of ergonomics and size. There are some buttons that have been rearranged at the back, but the overall layout is the same. So you’re deciding to upgrade, the learning curve is zero, if not minimal. Though compared to a 5D Mark 3, it is significantly smaller. Most of the new features are found under the hood so to speak. Asides from the quick-shift AF button, the way the AF handles is quite good. The 70D is now on a phase-detection system as compared to contrast-detection in the 60D. What that this basically results to is a faster response time in achieving the desired focus. Phase detection gives the camera the smarts to know whether or not a subject is front or back focused. It then sends the proper adjustments to the lens in smaller increments. Contrast detection on the other hand has a tendency for “focus hunting” then latching on the right focus once it has been figured out. Here’s a video explaining the phase-detection autofocus system on the 70D. 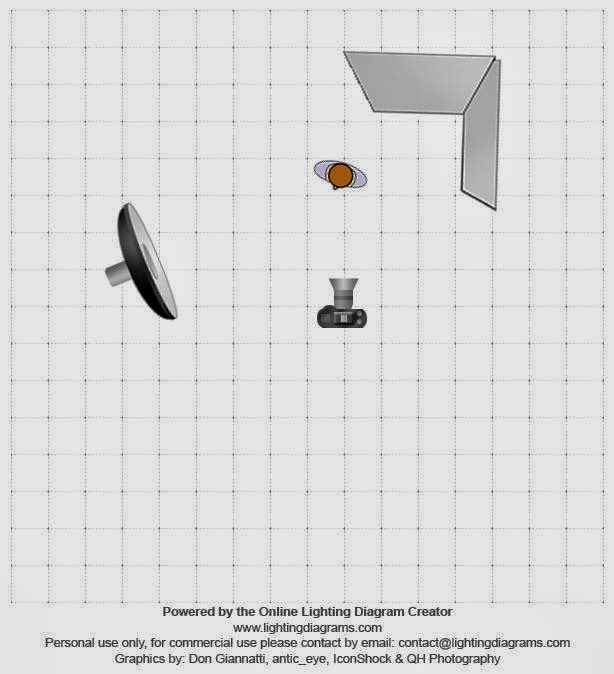 If you’re geeking out on how phase-detection focusing works, check this link out. This is one camera I would highly recommend for intermediate users who’d want a stepped-up game in their photography. If you want a more technical review about the 70D, check this out. That remark sort of made an age-check, and how long I’ve been working in this industry. Hehehe. I know there are more senior photographers out there, but having been in this for a decade (any double-digit industry stay for that matter) is a personal feat. The setup for Kat was rather basic since I was up against white walls, and it was inherently bouncing soft light all around. The only harsher source was the white-reflected beauty dish on the camera left. I didn’t bother setting up other sources since the overall lighting gave off a raw feel and a freedom to move the model around. Where you shoot is just as important as the lights you use. No two (2) places would leave the same effect even if you replicate lighting formations to the letter. Just like reverb is to audio, reflection is to photography. How the light bounces against the surroundings outside of the shooting area also affects your subject… subtle or otherwise. You would especially notice this with the construction of white zones (areas in the studio painted white) in a studio. Even the kind of paint used on the floor, walls and cyclorama would have an impact in the quality of light you would have in that space. Awareness of where and how the light reflects around gives more control in replicating desired effects wherever you may be shooting. Check out my youtube channel for your regular glimpse behind the scenes! While you’re at it, drop buy the online store and get goodies from your favorite models!